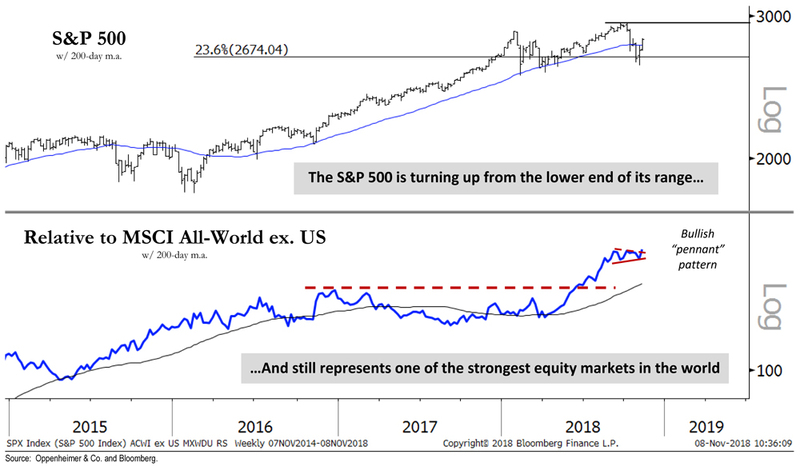 Wald points out that the S&P has gapped back above its 200-day moving average (2760) and he thinks this level will now act as support for a year-end rally (see Chart). However, he will be monitoring the NYSE Advance-Decline line closely; a new high in the S&P undermined by fewer stocks participating would warn of a large market top. 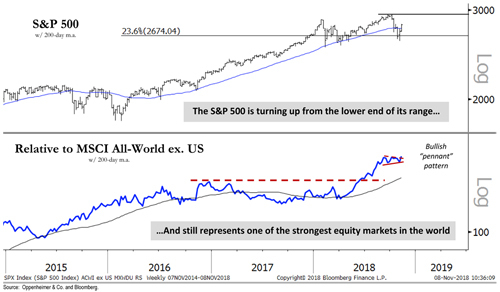 Despite this, Wald points out that the S&P continues to be one of the strongest equity markets in the world (see lower pane: S&P 500 vs MSCI All-World Index (excl. US).